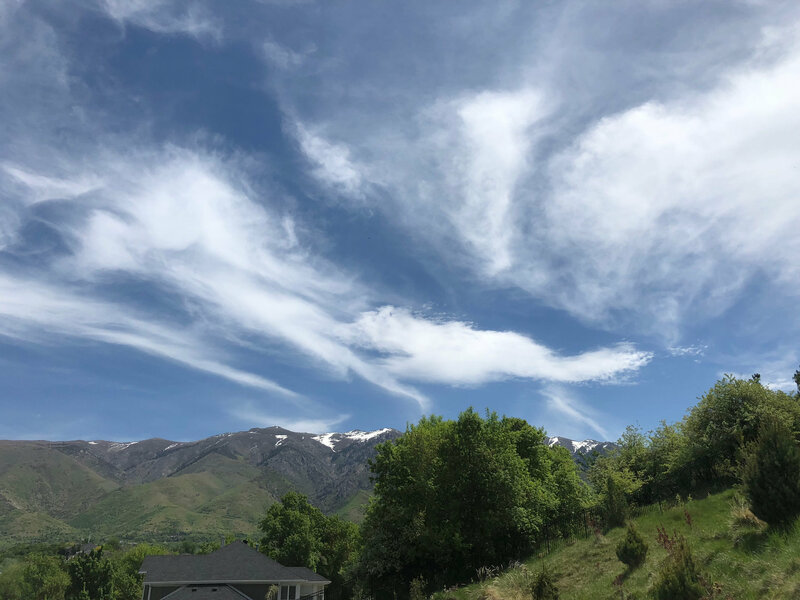 We went back on the road with our traveling Vitamix Feedfeed Test Kitchen, and this time we found ourselves in beautiful Layton, Utah for the Everything Food Conference! 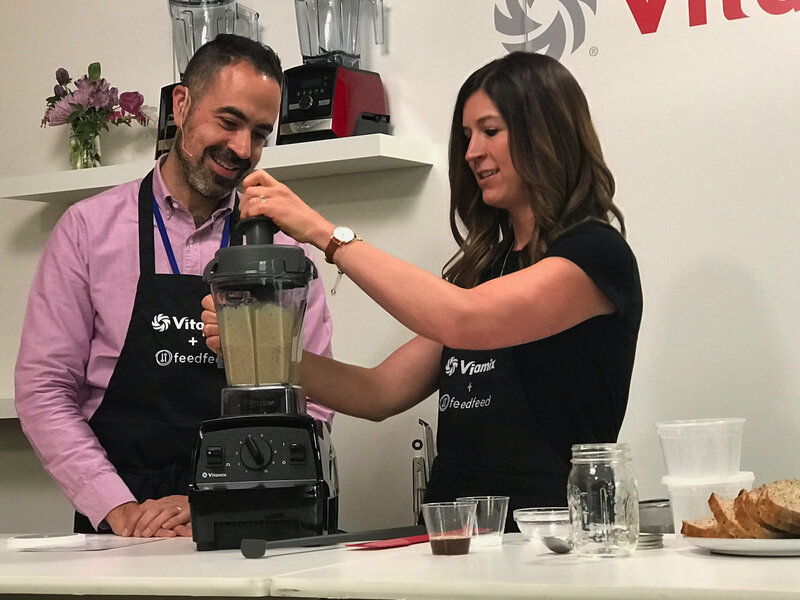 After the Test Kitchen’s first stop in Brooklyn last year at Food Loves Tech, we were so excited to hit the road again to show off the kitchen and all the amazing blenders our friends at Vitamix have to offer. 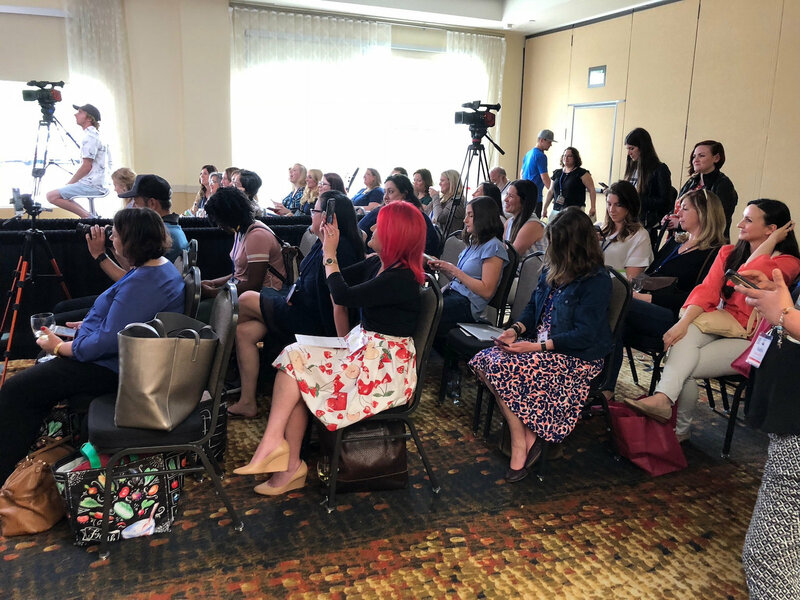 The Everything Food Conference is described as the ultimate conference for food online content creators, bloggers, and influencers, and we were so many in person! 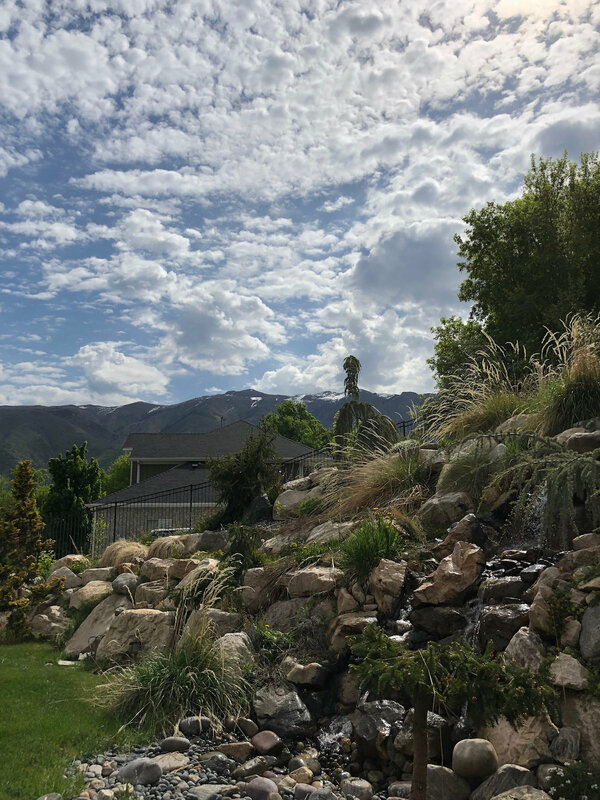 When we first arrived in Utah, we were absolutely blown away by the gorgeous scenery; from the stunning mountain vistas to the lush greenery, we knew it was going to be the perfect setting to highlight our partnership. 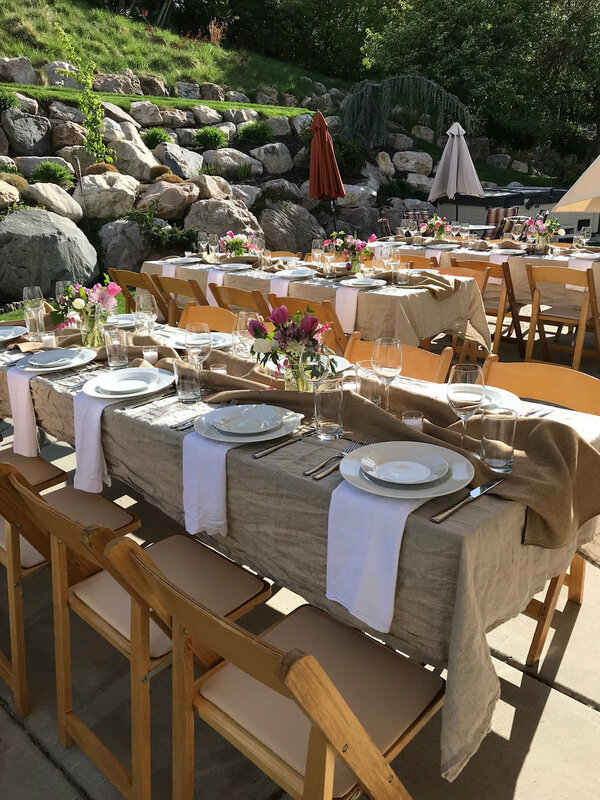 The event took place a few days before Mother’s Day in May, and in honor of the holiday and moms everywhere, we partnered with some of our favorite bloggers to bring the spirit of the holiday to life. 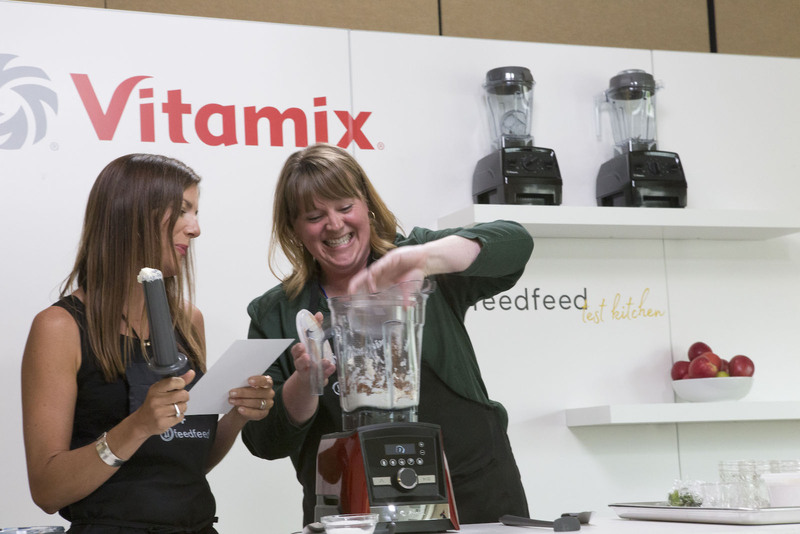 With a Vitamix blender, the possibilities for recipes you can make for the mom in your life are endless, and we wanted to share that with our community and the event attendees alike. Moms are such a special part of our lives, and it was so much fun to create a whole activation to celebrate them properly. 6 of our blogger partners not only created custom recipes for mom, they also shared those recipes on their blogs and social media channels so their readers and followers could enjoy them as well. 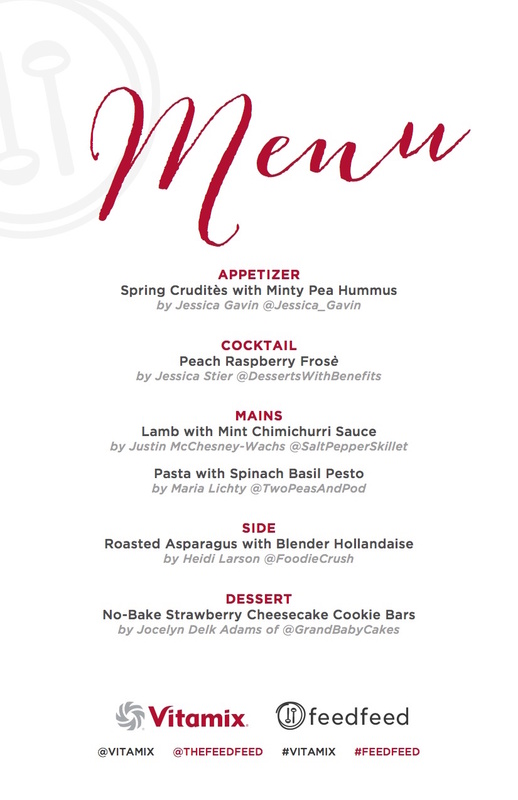 Then we had 8 more blogger partners also create custom recipes for mom for the conference specifically, and all 14 of them brought those recipes to life on the Test Kitchen stage for event attendees. Julie Resnick and Jessica Gavin make Minty Pea Hummus! Julie and Heidi Larson make Roasted Asparagus with Blender Hollandaise! On Day 1, Maggie from Omnivore’s Cookbook kicked things off with her dreamy Matcha Pancakes. The perfect way to start the morning! We then progressed through a Walnut Skillet Brownie, a Crepe Cake, Nut-Free Pesto and more! 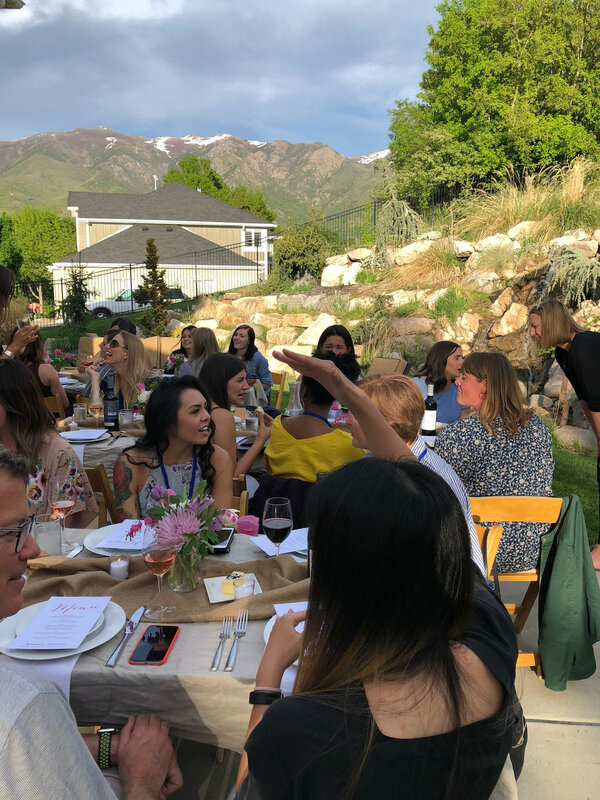 Everyone made their recipes alongside our co-founder, Julie Resnick, who asked them questions, chatted with them and got more info on the inspiration behind each recipe. It was especially entertaining to watch Amanda Rettke from I Am Baker crack jokes and entertain the crowd while making her Brownie Batter Mousse! Julie and Amanda Rettke make Brownie Batter Mousse! 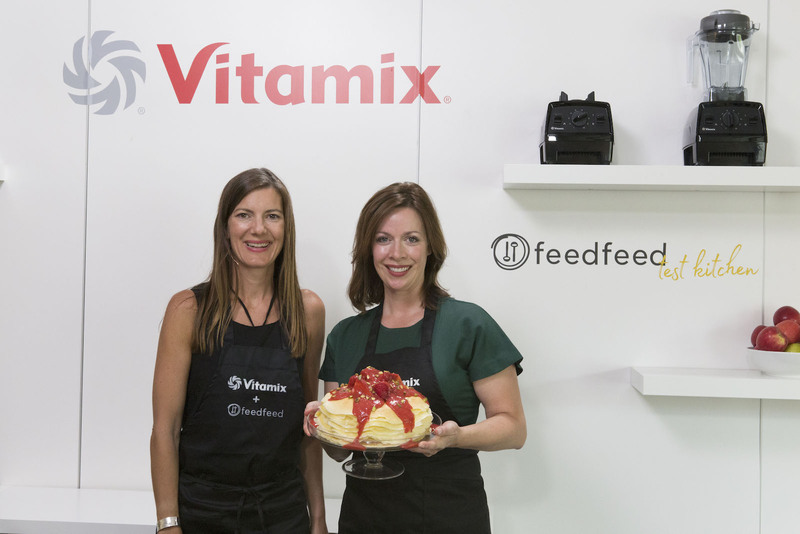 Julie and Sommer Collier show off Sommer's Crepe Cake! Maggie from The Omnivore’s Cookbook made Matcha Pancakes: Watch Video! Olivia from Primavera Kitchen made a Walnut Skillet Brownie: Watch Video! Jessica Gavin made Minty Pea Hummus with Spring Crudité: Watch Video! 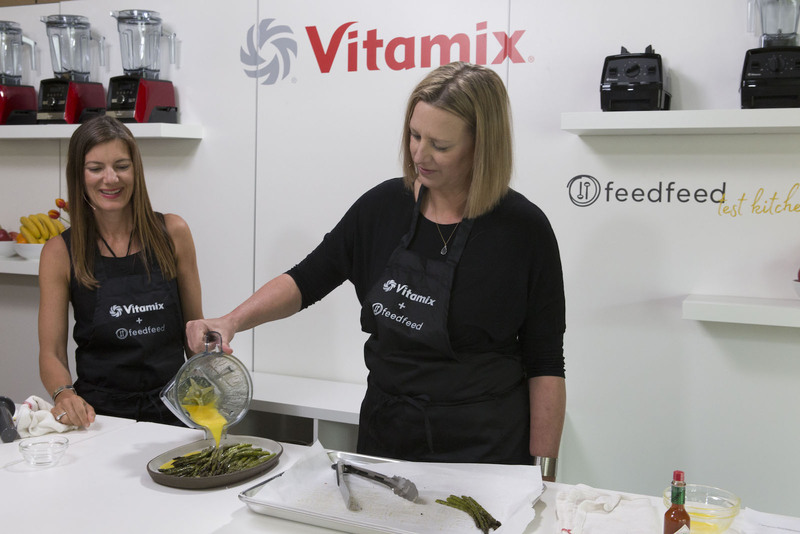 Heidi from Foodie Crush made Roasted Asparagus with Blender Hollandaise: Watch Video! Sommer from A Spicy Perspective made a Crepe Cake: Watch Video! Amanda from I Am Baker made Brownie Batter Mousse: Watch Video! Maria from Two Peas and Their Pod made Nut-Free Pesto with Pasta: Watch Video! 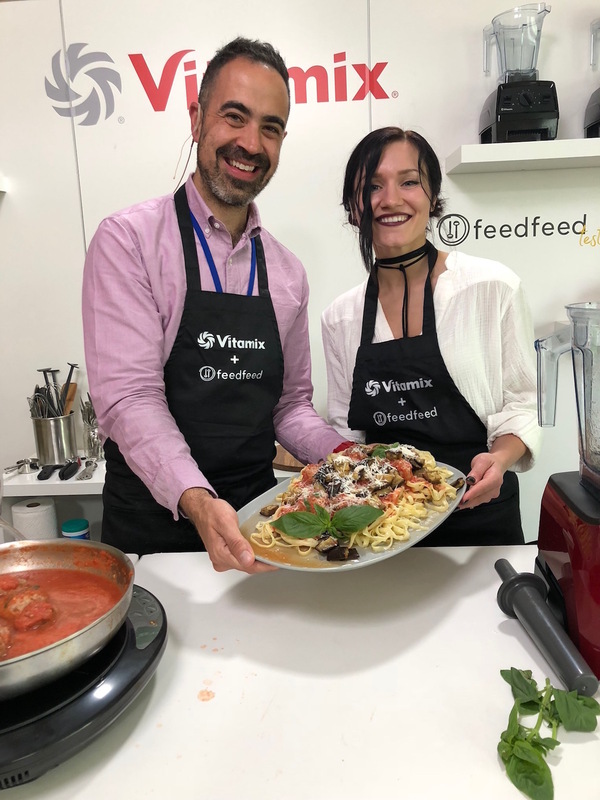 After a busy and fun first day, we invited all of our partners and our friends from Vitamix to The Feedfeed Airbnb to enjoy a fabulous meal al fresco. 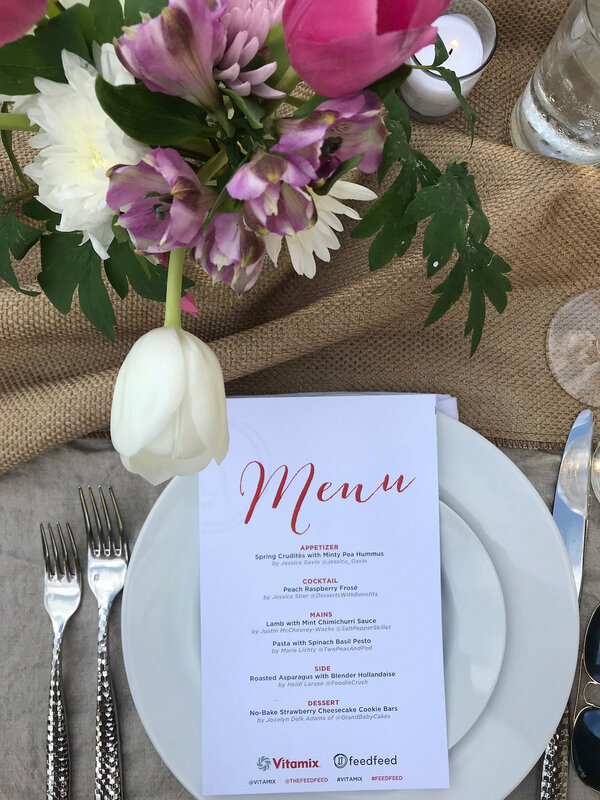 We selected 5 of the recipes to serve, all prepared by Ellie’s Catering in Park City! 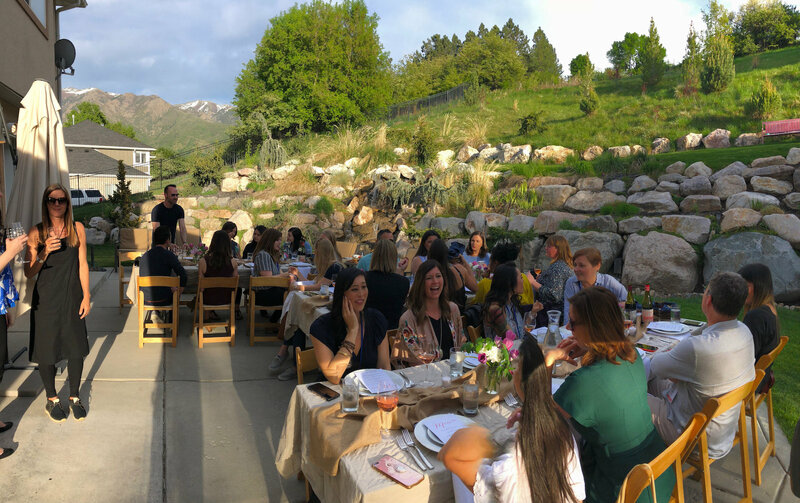 We were so happy to be able to share a meal with the stars of the show set against the beautiful, lush mountains of Utah. Get the recipe for Spring Crudités with Minty Pea Hummus here. 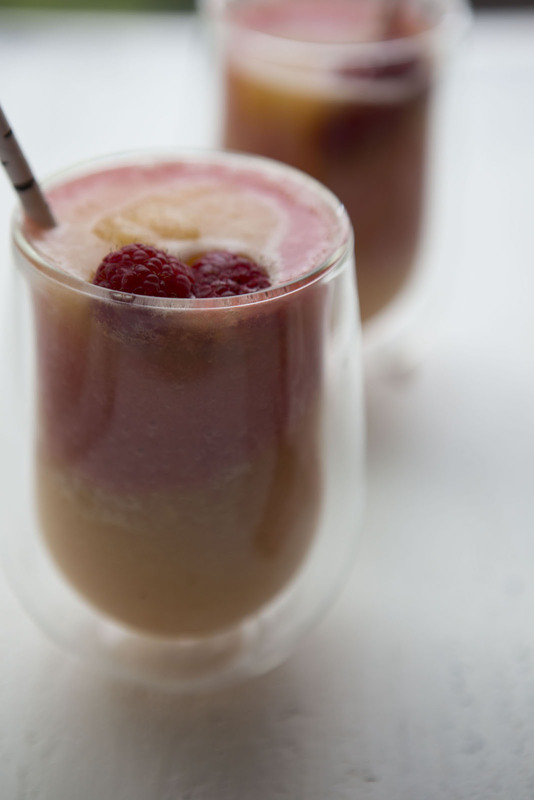 Get the recipe for Peach Raspberry Frosé here. Get the recipe for Roasted Asparagus with Blender Hollandaise here. Get the recipe for Nut-Free Spinach Basil Pesto here. 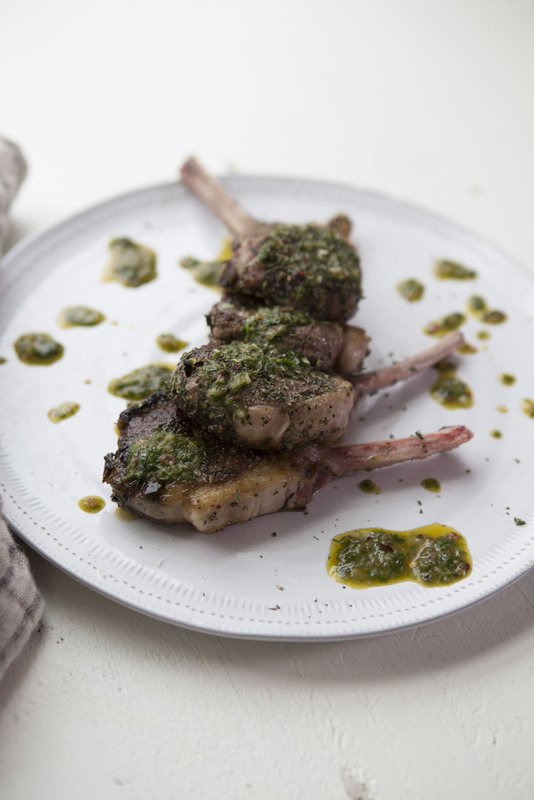 Get the recipe for Lamb Chops with Mint Chimichurri here. 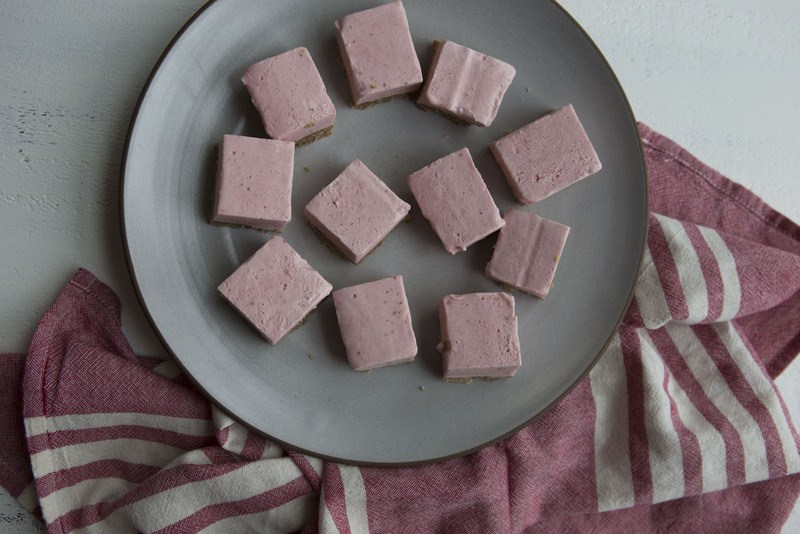 Get the recipe for No-Bake Strawberry Cheesecake Squares here. Kevin Masse and Laura Sandford make Maple Almond Butter! 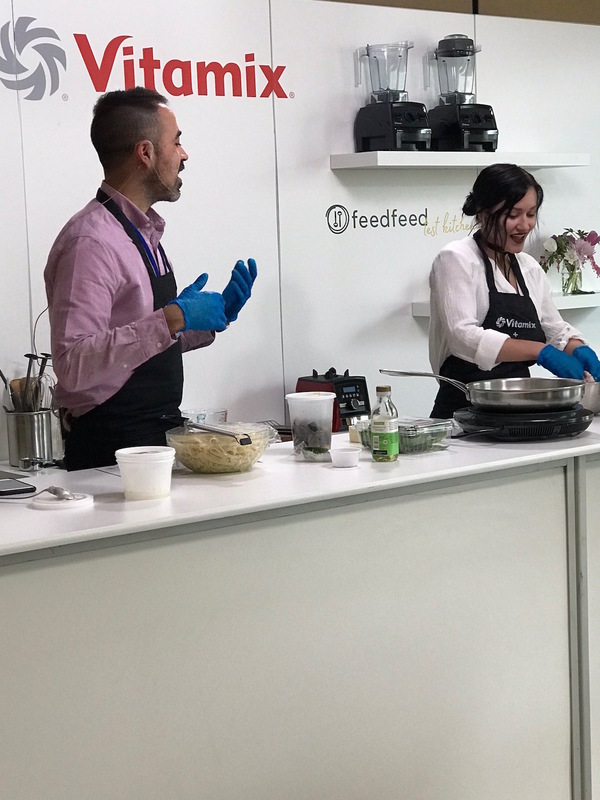 On Day 2, Laura from Joy Food Sunshine whipped up her luscious Maple Almond Butter while chatting and cooking on stage with our VP of Global Community Engagement, Kevin Masse, who joined in for all the demos that day. From a refreshing Frose to hearty Lamb Chops with Mint Chimichurri, our mouths were all watering by the end of the day! Laura from Joy Food Sunshine made Maple Almond Butter: Watch Video! Natalie from The Modern Proper made Corn and Leek Bisque: Watch Video! Jocelyn from Grandbaby Cakes made No-Bake Strawberry Cheesecake Bars: Watch Video! 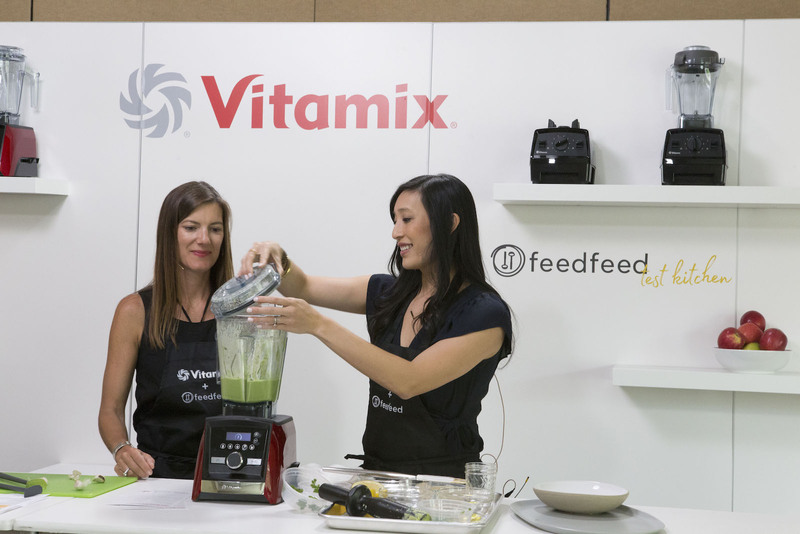 Jessica and Stacie from The Real Food RDS made Vegan Cashew Cream Alfredo: Watch Video! Jessica from Desserts with Benefits made Frosé: Watch Video! 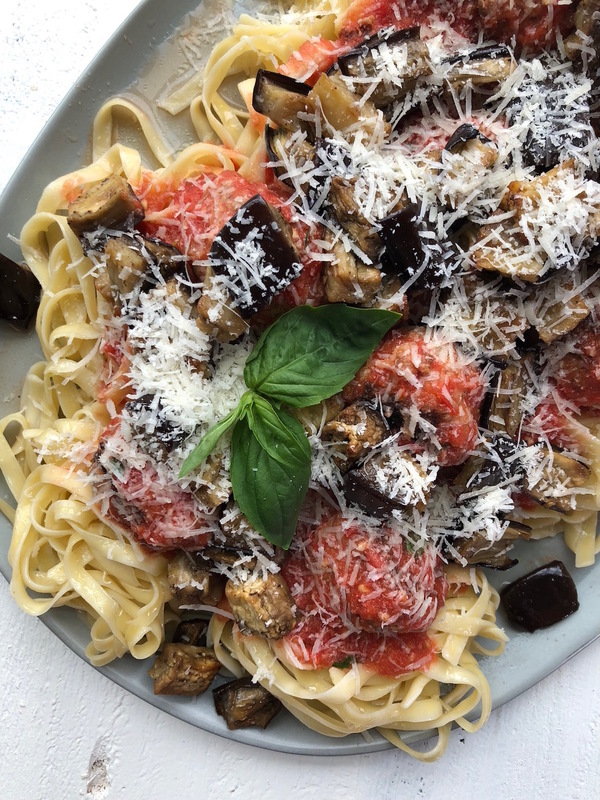 Love from Munchkintime made Eggplant Pasta: Watch Video! Justin from Salt Pepper Skillet made Lamb Chops with Mint Chimichurri: Watch Video! Kevin and Love Reuk make Eggplant Pasta! Stay tuned as we plan to keep the energy of our mobile Test Kitchen going to other places around the country! Thanks for following along, now I’m off to whip up a batch of Frose! To get all the recipes from this event, click here. Watch a recap of the event below!